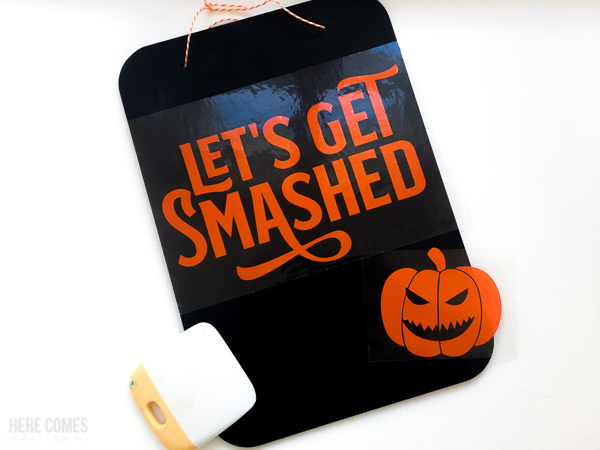 Create a fun chalkboard Halloween sign with this easy tutorial! 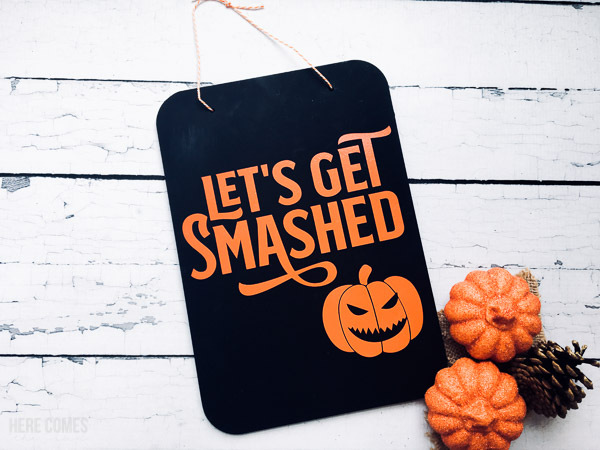 Do you decorate your home for Halloween? 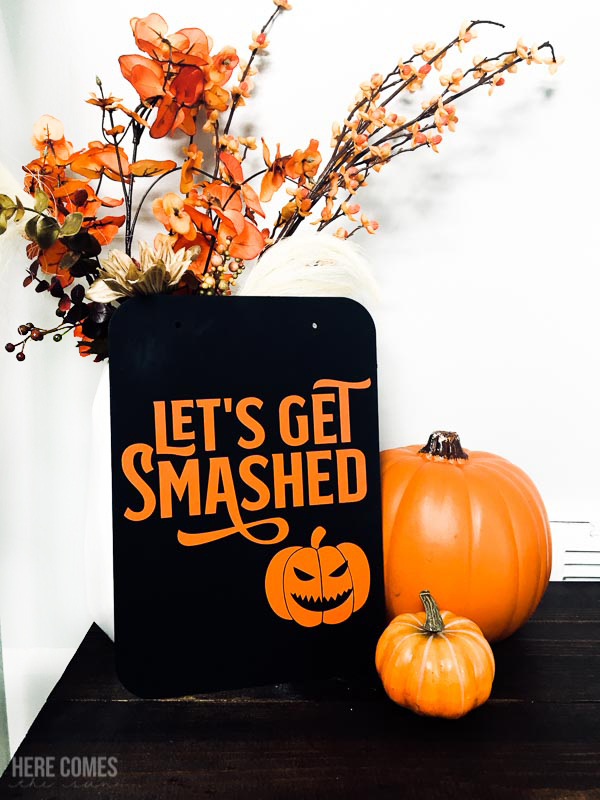 I don’t usually decorate the inside of my home for Halloween but I just couldn’t resist making this cute little chalkboard Halloween sign this year. It’s a very simple project that takes about 15 minutes to complete. Cut File. You can access the file in the resource library, below. This project is pretty straightforward. If you’ve read any of my other blog posts using SVG files, it is the same process. Choose the surface that you want to adhere the lettering to. I chose a black chalkboard because black and orange are typical Halloween colors. But any type of surface will work. Just make sure that it is a surface that vinyl will stick to. Download the cut file and open it up in your cutting machine software. Resize it to fit the size of the surface that you are adhering it to. Cut out the file using your choice of vinyl. The vinyl that I used for this project is from Expressions Vinyl and is Oracle 651. I like this vinyl because it is waterproof and perfect for outdoor projects or projects that include items such as mugs that need to be washed. Weed your vinyl using a weeding tool. Weeding means removing all excess vinyl that is not part of your design. Place transfer tape over your design and transfer the design onto your surface. For a short tutorial on how to use transfer tape, watch this video. You can use this design to create types of projects too! One thing I love about SVG files is the many different ways that you can use them. 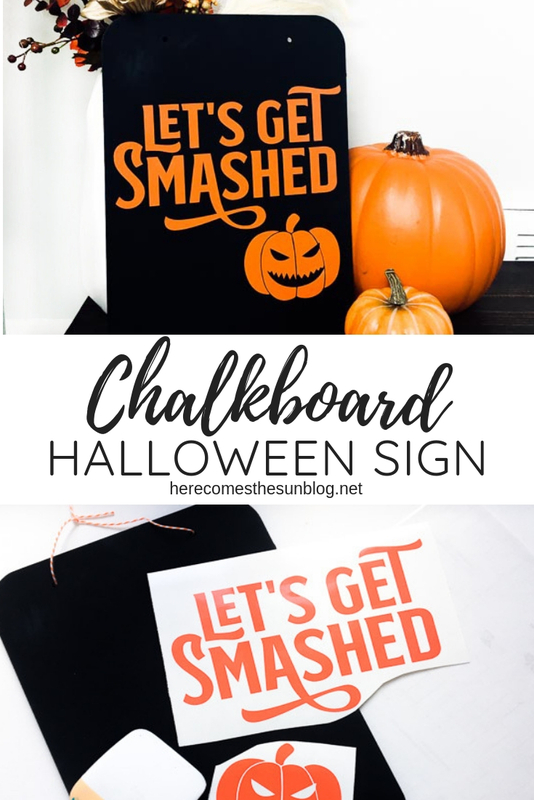 You can use this file with heat transfer vinyl to create a fun shirt or you can use it to create a stencil if you want to paint your sign instead. The possibilities are endless. How do I open this file in my Silhouette software? First, download the file and save it to your computer. Can this file be used with a Cricut machine? 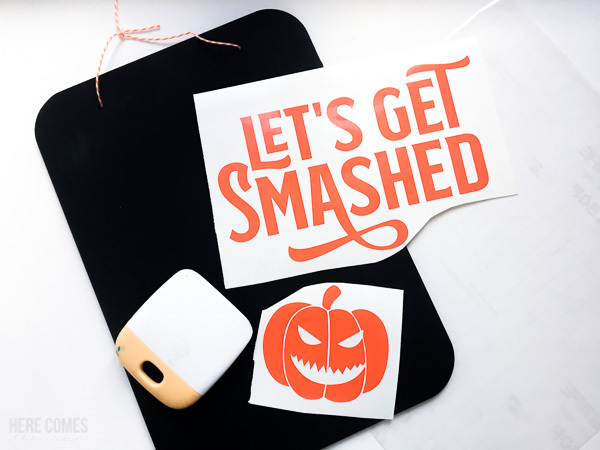 Yes, this file can be used with a Cricut or any other cutting machine that supports SVG files.